Steam-hauled services will return to the Wensleydale Railway this summer as ‘J27’ No. 65894 is booked to visit. Although normally based at the North Yorkshire Moors Railway, the North Eastern Locomotive Preservation Group-owned engine is restricted to five-coach trains on the Pickering-Grosmont line owing to the railway’s difficult gradients, and is usually confined to the shoulders of the NYMR’s main running season. The Worsdell 0-6-0 will therefore be based at Wensleydale for the high season, and follows in the footsteps of NELPG’s ‘J72’ 0-6-0T No. 69023, which has operated at the WR on numerous occasions. 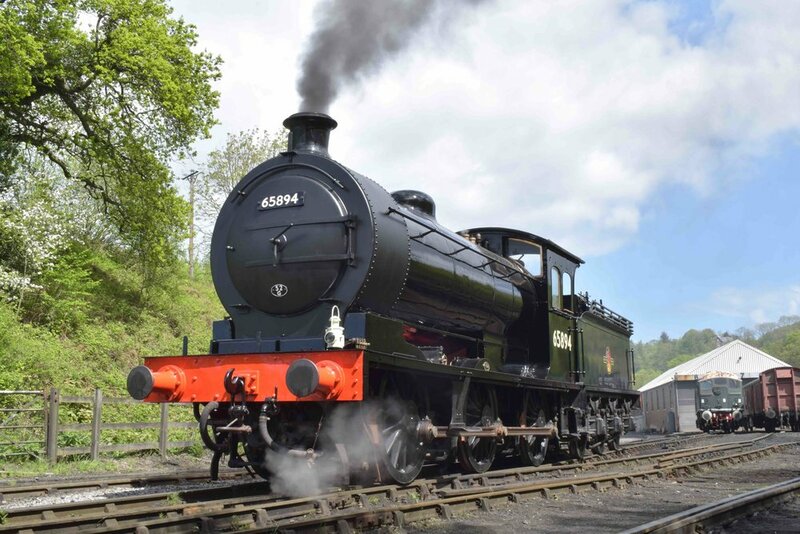 More steam is expected at the Wensleydale Railway for its Leyburn 1940s Weekend on July 21/22, in the shape of one of West Coast Railways’ main line-registered locomotives – although the identity of the visiting locomotive is not yet confirmed. The locomotive will also be bringing a BR Mk 1 Second Corridor – formerly used as part of the ‘Hogwarts Express’ – to strengthen the line’s passenger-carrying rolling stock.